Public lots also available in the area. 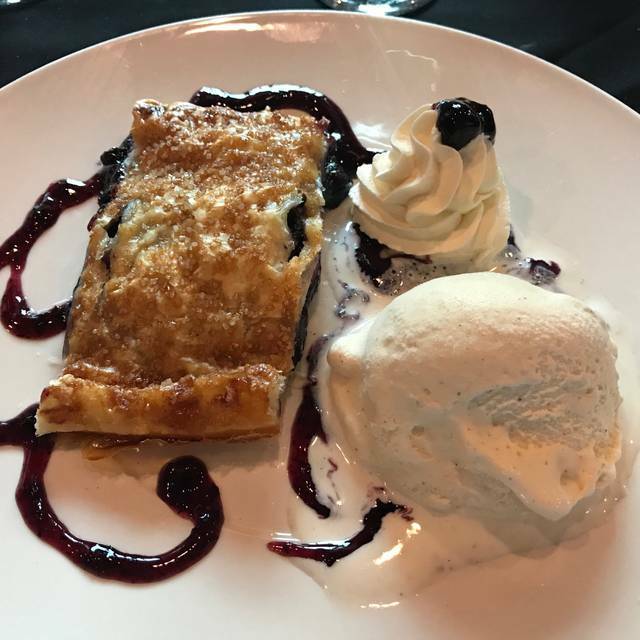 The Lake Elmo Inn offers award-winning American cuisine, and has been voted Best Restaurant, Best Service, Best Dessert, Best Brunch, and Twin Cities Institution locally by Minneapolis St. Paul Magazine 'Reader's Choice Awards'. 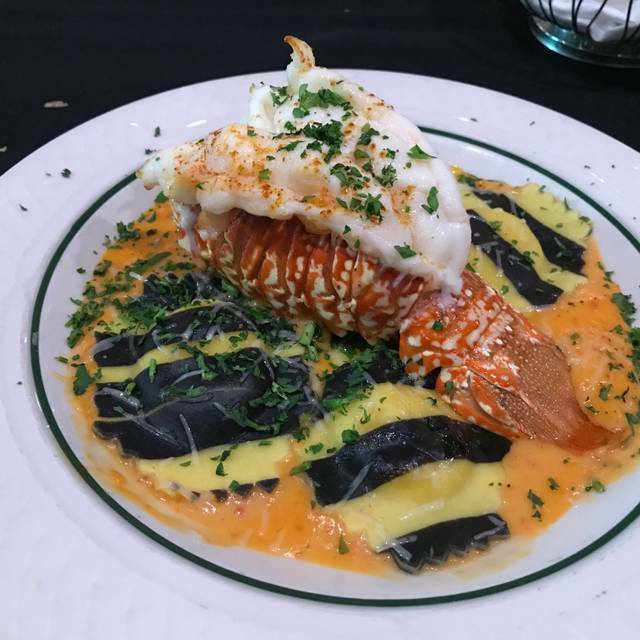 Zagat scores the Lake Elmo Inn at a 28 out of 30 for food, calling us a "hidden secret". We also received Wine Spectator's Award of Excellence for our extensive wine list for twelve years in a row. 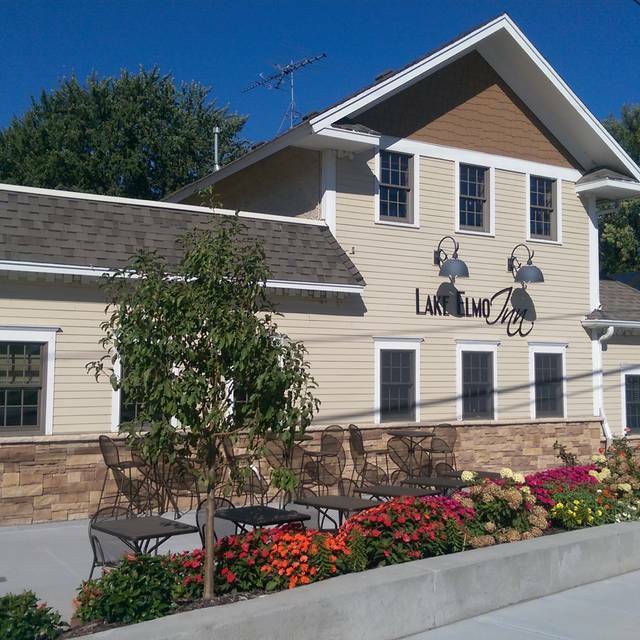 The Lake Elmo Inn has been chosen as one of the top 100 Brunches in the nation by Open Table. 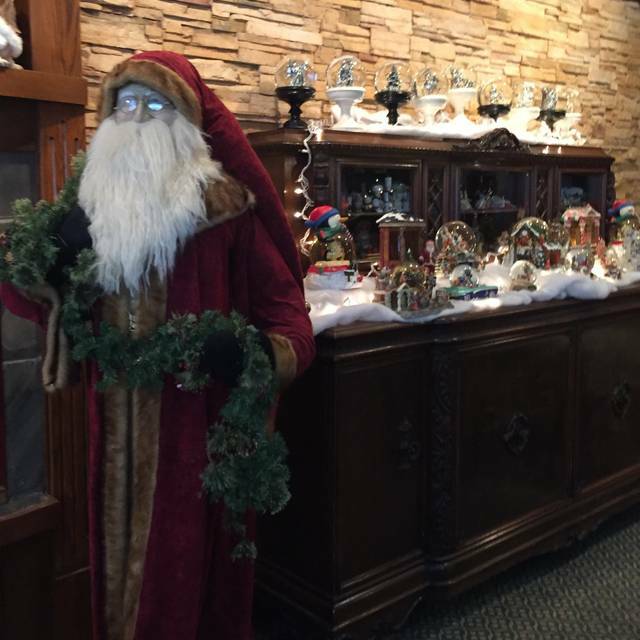 From shrimp cocktail, smoked salmon, double smoked ham, and carved rounds of beef, to eggs Benedict, Belgium waffles, mouthwatering salads, and fresh seasonal fruit, the Lake Elmo Inn serves a Sunday Brunch that is artfully prepared and elegantly presented. Always enjoy our visits to the Lake Elmo Inn. As usual the food was fantastic. My friend had never been there and was very impressed. Our waitress Sonya was so very nice but we hid have to wait quite a bit. Excellent brunch. The roast beef was especially outstanding! Good service too! Great as usual. Food was delicious and the service was great. Great food! Great service! Great desert! Well done!!! Most amazing food in the twin cities metro. I truly mean that! My favorite dish is the roast duckling and my husband loves the T-bone. If you manage to save room the Tres Leches cake is to die for!!! We were seated next to a large group on this most recent trip and they were quite loud but we didn’t really mind that much, it was my first complaint after many many trips to this restaurant so it will not sway my opinion. We had the best servers. everyone was on top of their game !!!! We loved the food and ambiance, and the service was good. The drinks were tasty and the soup was delicious. Consistency in food quality and preparation along with great service are the hallmarks of the Lake Elmo Inn. General Manager Erik keeps a watchful eye to insure you have a memorable experience. Ambiance is the way the inn has been for years. Comfortable and homey, not pretentious or contemporary. A bit pricey, but some of the dishes are simply perfect. Two sleepers are the sunnies and the Cajun pork chops. Great place for special occasions. We had a large group of 10 very talkative women for my birthday lunchein. The Tuesday buffet was wonderful, waitress outstanding and table the best for our group. Took two hours to get our meal. Previous visits were always wonderful, but this time the food was not hot when delivered to the table. As always, the food was great and the service good. We got seated at our table right away even though the restaurant was very busy. We will be back there again soon. Enjoyable enough experience. Our table was beside the bus staff section and very bright, so lots of traffic and little ambiance. Table was also a bit cramped. Would have had a issue fitting in the booth if heavily overweight. Food was ok. Sides with non traditional flavors seemed a little off for the food ordered. (Steak). Flavors didn’t quite gel together. Likely go back, but with grandparents. The service and the server were (as usual) outstanding. The free glass of birthday champagne is always a nice touch. Our food was excellent and the desert tray was wonderful! A good experience all around. The service was beyond excellent. The food was excellent as it always is. My wife and I swapped sandwiches halfway through because they both tasted so good. We always enjoy dining at the Lake Elmo Inn as we’ve never had a bad meal or unfavorable experience there. Fabulous meal and service. Will definitely be back again. 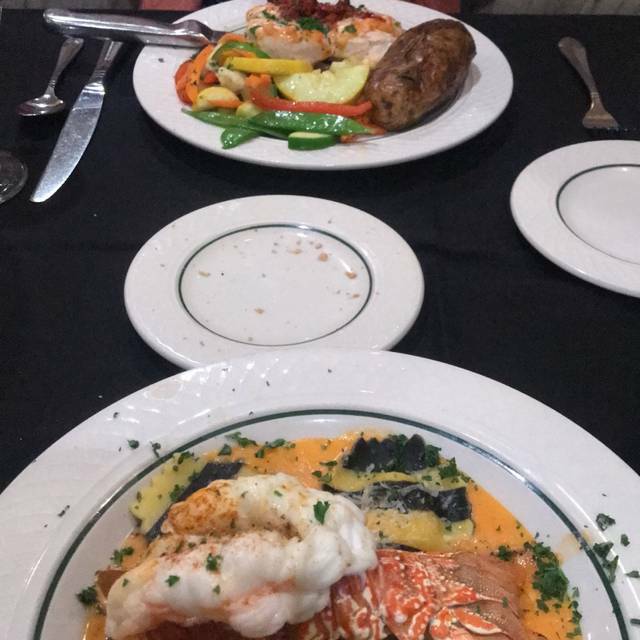 The service and food are always top notch! Not only does the food taste delicious they also present it very artistically. The desserts are hard to pass up even if you feel full. 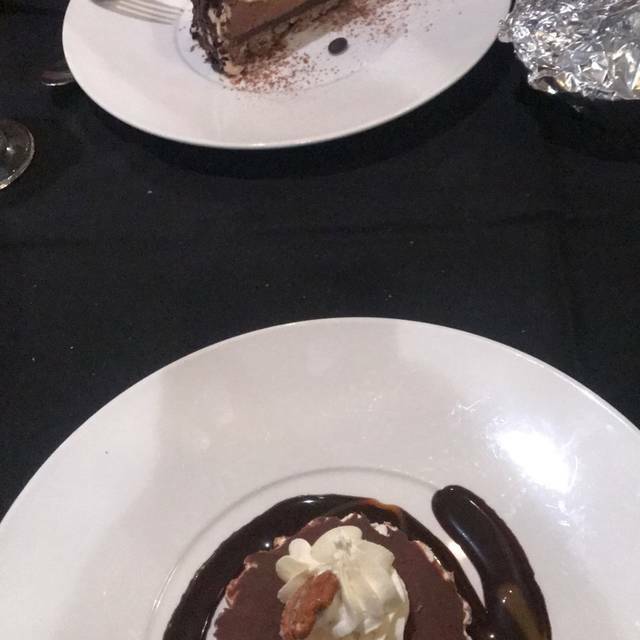 Make sure you leave a little room or share a dessert for sure! Ran out of prime rib, the special for the night by 6:45. It did seem to be quite busy for a Thursday night. Consequently service was a bit slow. Otherwise , good food, good service. We always enjoy our dinners at Lake Elmo restaurant. Because it was my birthday, everyone at the table was given a glass of complimentary champagne with which to toast me. Took advantage of the daily special offered and it was very good. Classic supper club environment. Overall great experience with service, ambiance and food. One area of improvement is on the calamari and lobster bisque. The calamari we were served was mostly battered peppers and the lobster bisque had zero lobster meat. Not sure if that is what they were aiming for but it was disappointing. We did call attention to the waitress and she immediately took care of us and brought it to the attention of the kitchen staff. Have been going for years, so only slight adjustments recommended. They do great displays for holidays, so it was fun to see the Easter decorations beginning to be put out! If you can, save room for dessert and order the Sin of Inn. So GOOD!!! Good experience. I didn’t really like the wild rice. (Only because of me. Was NOT cooked badly or anything) They substituted a baked potato for me in almost an instant. A bit difficult to find parking. 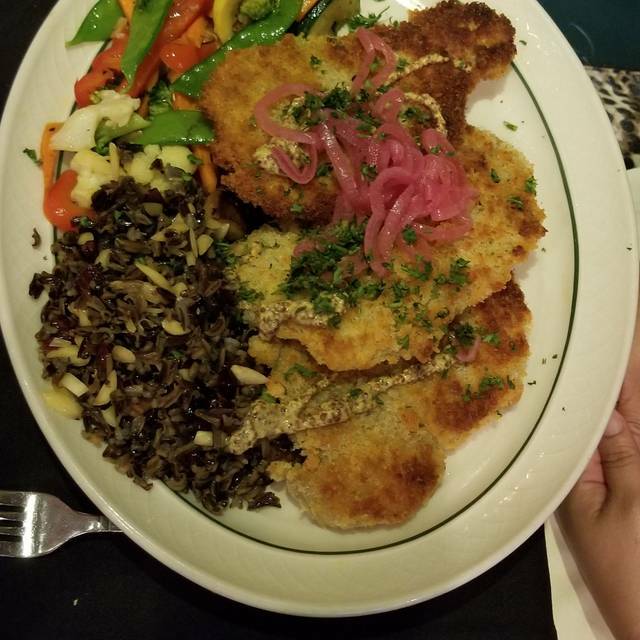 The pecan crusted chicken in my salad was very dry, I should have sent it back. A bit disappointed in the Wild RIce soup. rather thin, not much wild rice in the bowl and would have preferred it to be warmer. (maybe the soup bowl was not warm. enjoyed the young man at the host/hostess desk. He was full of energy and fun from the minute we walked in the door. Our waitress was wonderful - kind, courteous, helpful and fun as well! The entire experience was terrific. Always a fine meal at the Lake Elmo Inn. The service is very personable and friendly. It seems we live too close to go there frequently, but when we do it is always a good experience. First time to eat at their Sunday brunch. 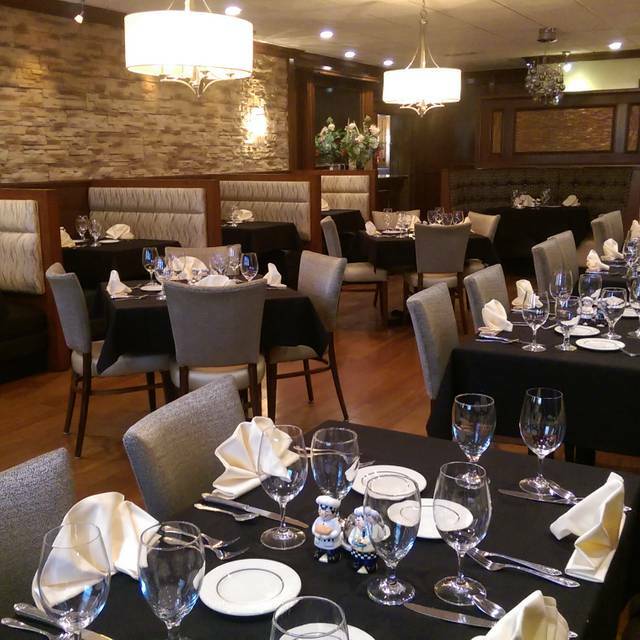 The food selection was amazing,the service was fantastic ....I would highly recommend it!! As usual everything was excellent. One notation to our waitress that the carved beef though done to a perfect medium rare was extremely tough. Our table did return it to kitchen without eating it. Our server was not on point. She never mentioned the dinner special before we ordered, and she forgot my salad, just brought my dinner. I’ve dined here many times, for I live in Lake Elmo. I’ve never had a “bad meal”, but always walk away feeling like I’ve been gouged. Drinks/wine are expensive. Overall value sub par. Very good dinner! 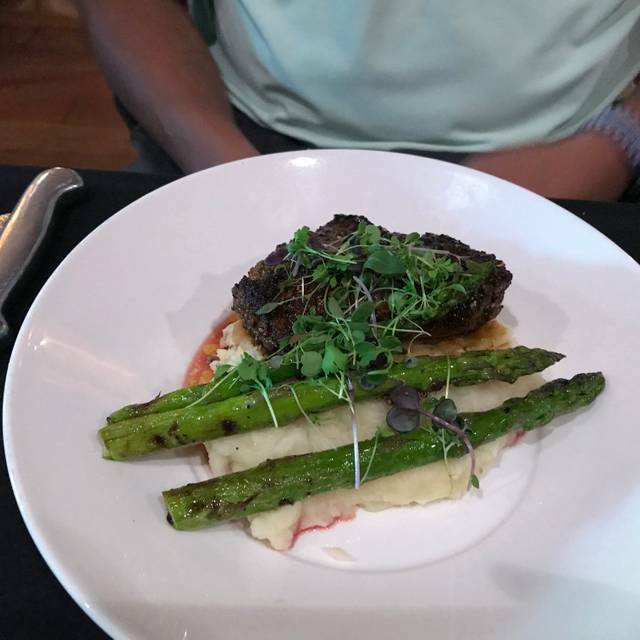 The short ribs where amazing! Love this place. Very consistant. Always good food and service. I ordered the Duck special on risotta. The duck did not taste good, at all and was very tough to chew. I wonder why someone in the kitchen did not catch this. The server offered me a prime rib dinner, which I accepted. The prime rib was just ok. I am glad the server asked about the duck. It was as if she knew the duck may not be good. Not a good value. This is my favorite restaurant!! Always totally satisfied!! Very disappointed in the Friday Fish Special. Batter and Fish were both dry and over cooked. Waffle fries were over limp and over done. Food was barely warm. Coleslaw was good. Strange experience because Lake Elmo Inn is usually good. We didn't complain because we were too Minnesota nice. The food was outstanding, everyone was so sweet to my daughter who was dining with me. We had a great time and enjoyed the restaurant. Our server was very helpful and friendly. However, I could clearly hear the bar staff being quite rude to our server about a disagreement over wines. I felt he was great but that seemed quite unprofessional of the bar staff to be so over-the-top upset that I could hear it in the next room over. Would still return as I said the overall experience was great!! Love the Lake Elmo Inn. We always have. The service was spot on. I had the pecan chicken salad. It was fabulous. If you are looking for a place that is relaxing and enjoyable for all, I highly suggest the Lake Elmo Inn.